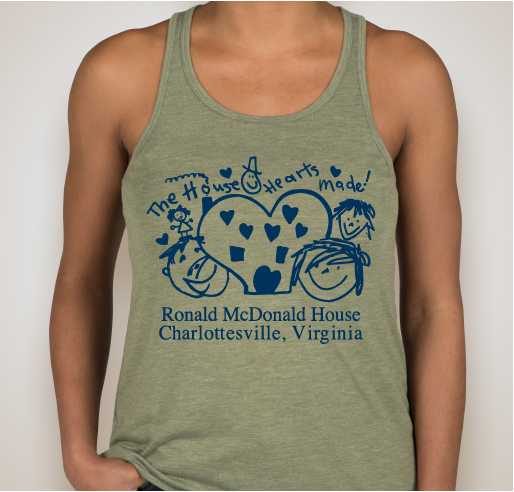 Have a ♥ Heart for the RMH! 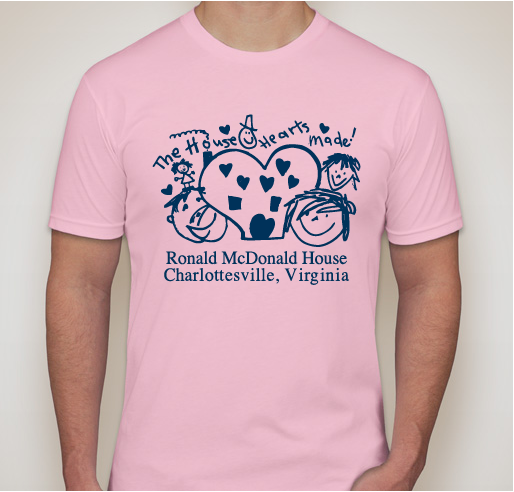 Buy a shirt to support our cause today! 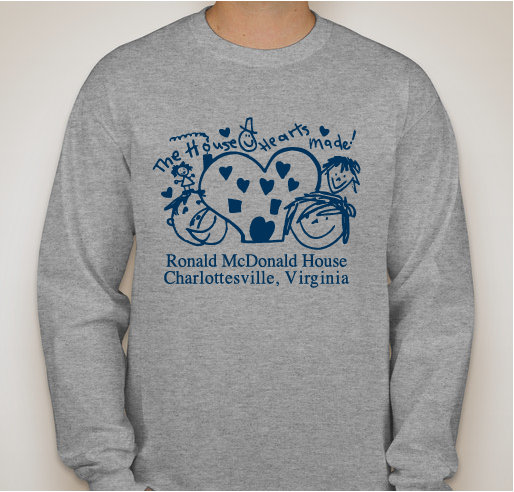 All funds raised will go directly to Ronald McDonald House Charities of Charlottesville Inc . 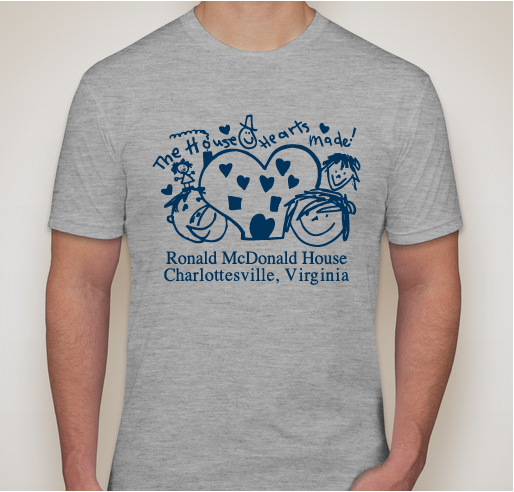 The Ronald McDonald House of Charlottesville is in its 38th year of service in support of families whose children are receiving care at UVA Children's Hospital. The House provides lodging, meals and encouragement for 19 families each night – a home away from home at a time when families need it most. We also have other programs that benefit all UVA Children's Hospital patients and their families. Our Love Sandwich Program provides 75 lunches each Friday to the families on the pediatric floor of the hospital. Through this program, we not only spare them the expense of another meal but we also keep them close to their children. Our Hospitality Cart Program tours the pediatric floor of the hospital twice per week providing hot coffee, tea, cocoa, granola bars and other small items of comfort to families as another means of positive touch when they need it most. Our mission is to provide programs that directly impact the health and well-being of children and their families. 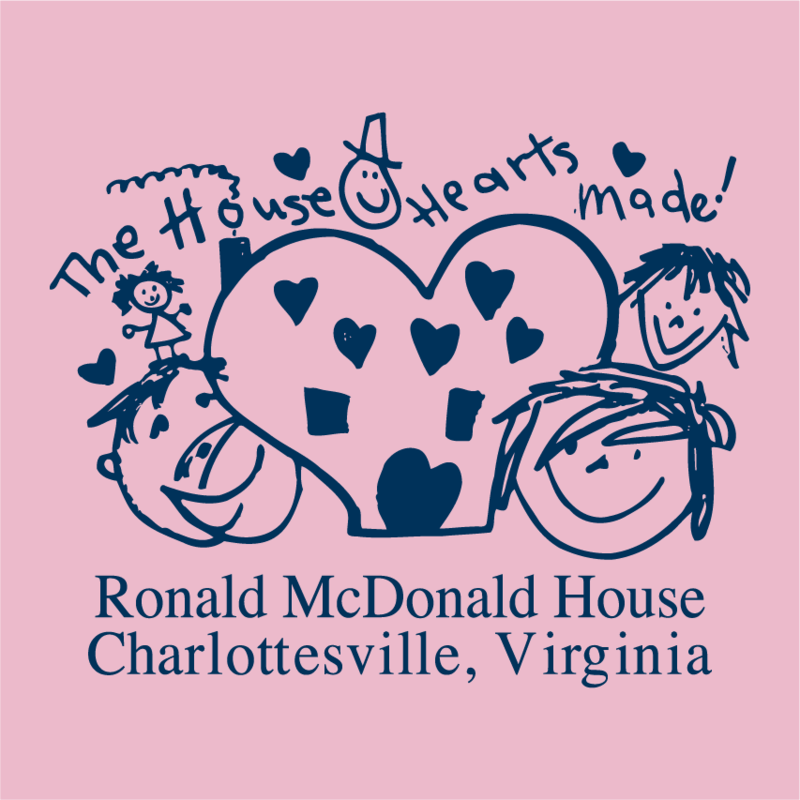 The Ronald McDonald House of Charlottesville is all about its mission: creating, finding, and supporting programs that directly impact the health and well-being of children and their families. 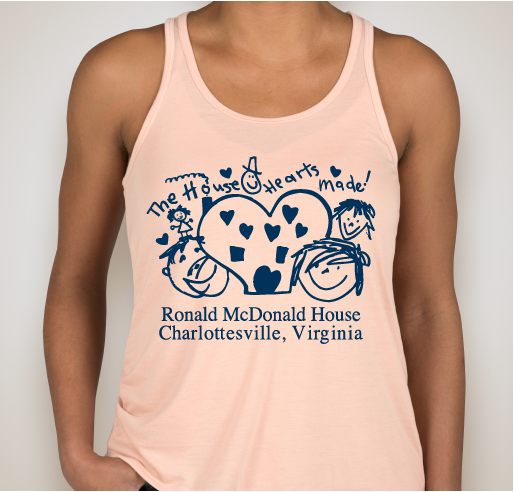 Share Why You Support "Have a ♥ Heart for the RMH!"